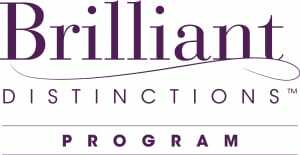 We are thrilled to offer our patients the opportunity to participate in Allergan’s Brilliant Distinctions Points Program, an exciting program where patients can earn points redeemable for future savings coupons off BOTOX, Juvederm XC, Juvederm Voluma XC, Latisse and SkinMedica treatments and products at our practice. In addition, patients can shop in the Brilliant Distinctions Mall — featuring hundreds of major retailers like Barnes & Nobel, The Gap and Best Buy — to earn additional points redeemable for additional Allergan product savings. Points earned vary by retailer. Step 2: Complete your profile. You must record/remember your email and password, as you will need these every time you access your Brilliant Distinctions Program information. Once your profile is complete, click “Finish” and you are done! For additional program information, you are welcome to call our office for details, or you may refer to the “About Program” tab and FAQs at http://www.botoxcosmetic.com/brilliantdistinctionsprogram. Earn and deposit points each time you get a BOTOX, Juvederm XC or Juvederm Voluma XC treatment or purchase an Allergan product such as Latisse. Treatments 1, 2 = 200 Points ea. Visit: http://www.brillaintdistinctionsprogram.com/explore for individual product point values. *Please note, BOTOX treatments must be at least three months apart for points to be deposited in your account. –Go to http://www.BrilliantDistinctionsProgram.com and login to your account. –Click on “Redeem Points” to access your discount coupons for Allergan products. –Review the drop down menu that shows your available coupon amounts based on your accumulated points. Alternate coupon amounts will be shown in “grey” to illustrate what you could get when you save up more points. –Click “Create Coupon” and a printable coupon will be delivered that you can bring in to our office for your next visit. Coupons can be created for a maximum discount of $80 at a time. *Note: Once a coupon is created, it will expire in 60 days.